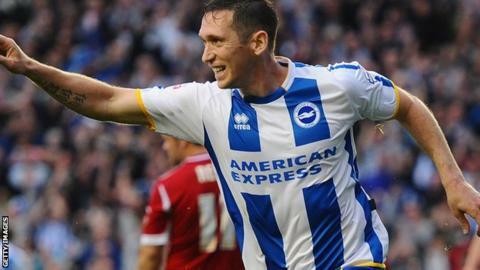 Brighton midfielder Andrew Crofts has returned to former club Gillingham on a loan deal until the end of the season. The 31-year-old, who began his career at the Priestfield Stadium, was named in the squad for their League One match at Southend on Saturday. Crofts earned a recall to the Wales squad for their upcoming friendlies against Northern Ireland and Ukraine. He has made 18 appearances for Albion this season, but has not featured for Chris Hughton's side since February. The loan deal has a 28-day recall option between the two clubs.